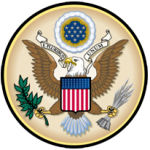 Electronic media coverage of criminal proceedings in federal trial courts has been prohibited since the criminal rules were adopted in 1946 and by the Judicial Conference since 1972. 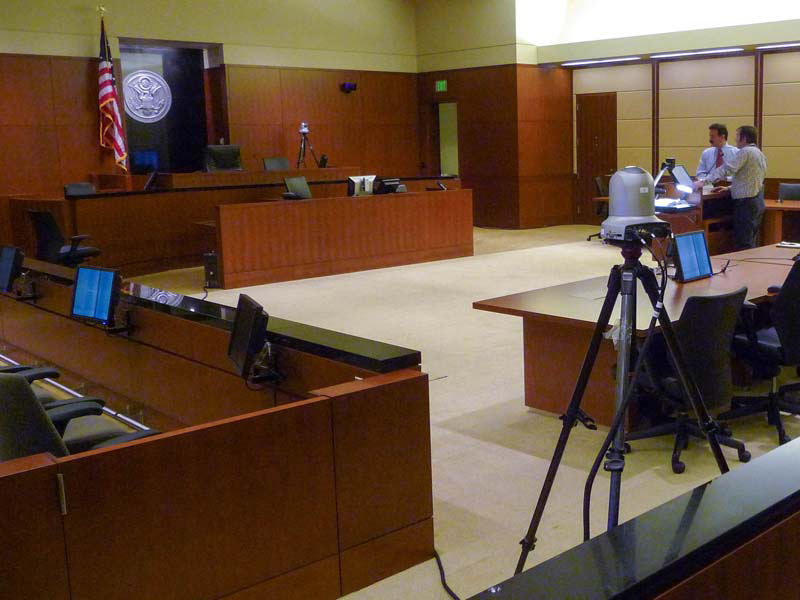 In a historic move, the U.S. Federal Judicial Center authorized a pilot project to study the effects of “Cameras in U.S. Federal Courtrooms”. 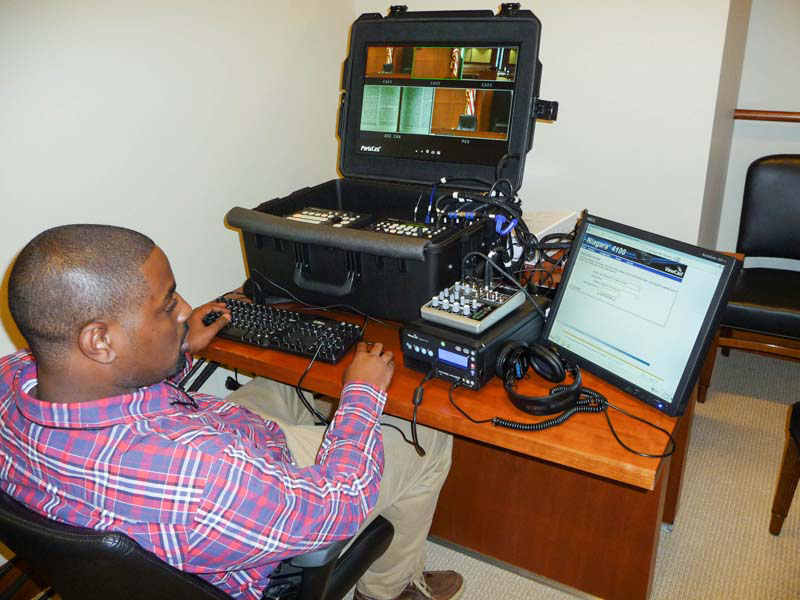 Mobile Studios was honored to be awarded the contract to design and install five customized systems based on our PortaCast® Mini-50 Flypack for the pilot project. 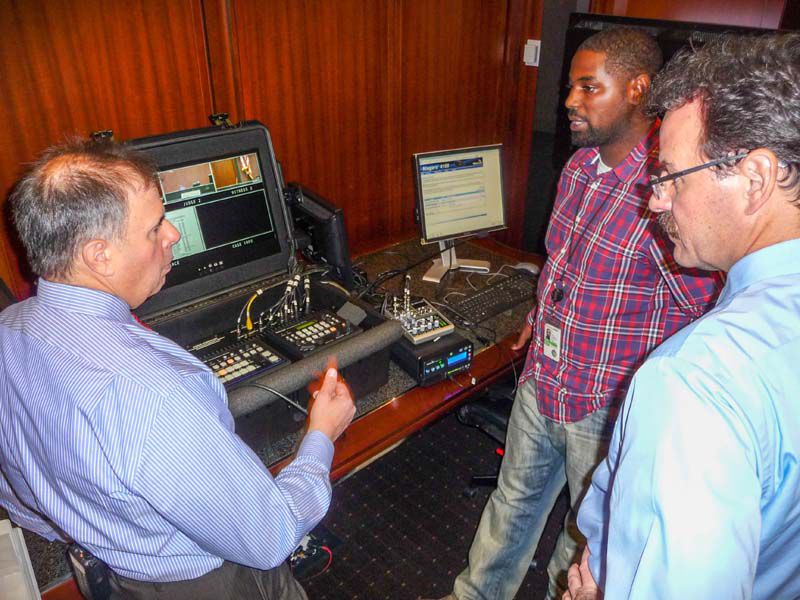 Installation and training conducted by Mobile Studios was completed at participating U.S. District Courthouses located in Boston, Chicago, Washington, D.C., Seattle and Montgomery, Alabama. 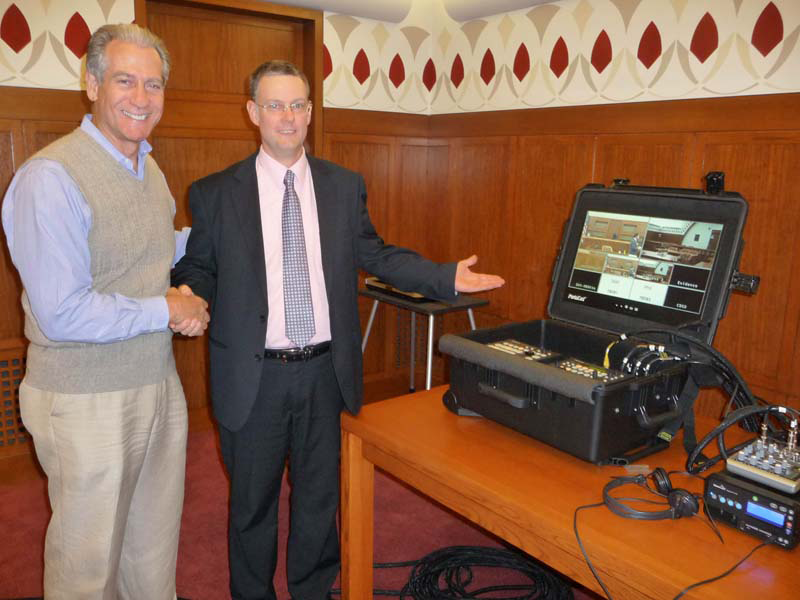 Multi-cam video production of courtroom proceedings may now be recorded, streamed and/or available for on-demand viewing with the approval of the presiding judge, as well as consent from all parties. Unless the presiding judge decides not to make the recordings publicly available, they will subsequently be posted on www.uscourts.gov, as well as on local participating court websites at the court’s discretion. 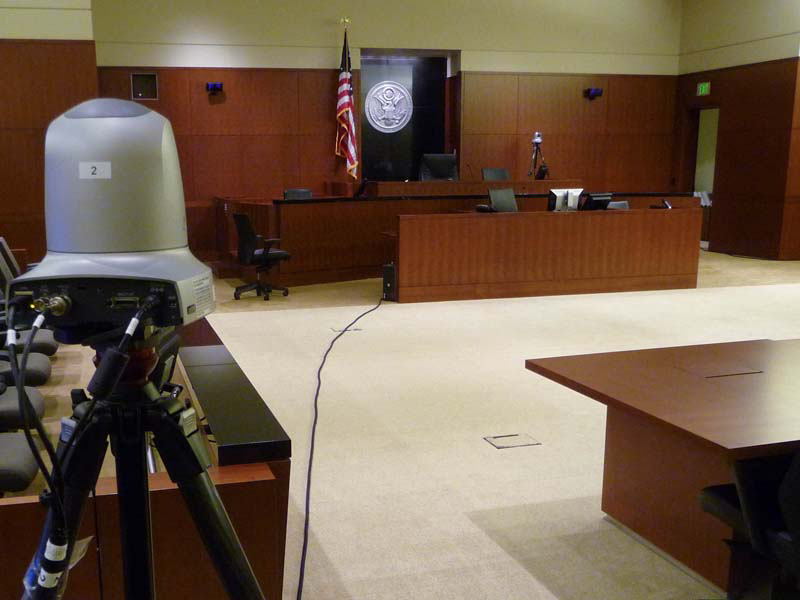 At the completion of the pilot project in September 2013, the Federal Judicial Center will evaluate the results and decide the future of cameras in U.S. Federal Courthouses nationwide. The heart of the system. Operated by the courtroom videographer. Contains integrated Panasonic AW-HS50 video switcher, AW-RP50 robotic camera controller, 22” LED monitor and patch panel for connections to cameras, evidence display system, audio mixer, video recorder and the internet. 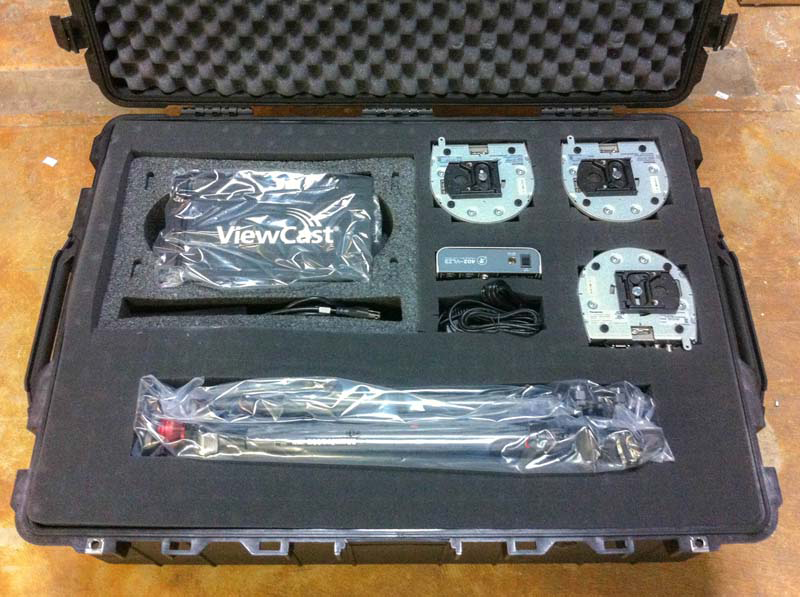 Converts the VGA output of the evidence presentation system to a video signal compatible with the video switcher. Includes 15 and 75 foot cables for connecting room audio and the internet to the PortaCast® Mini-50 Director Pack. 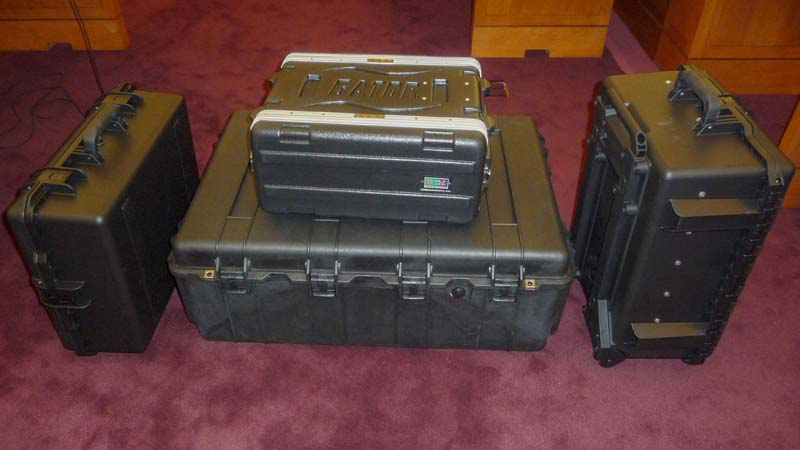 Largest of the four cases contains three cameras, tripods, video recorder/encoder and the audio mixer. Contains three cables for connecting cameras to PortaCast® Mini-50 Director Pack. "Recently five portable systems were installed at federal courts in Boston, Chicago, Montgomery, Ala., Seattle and Washington, Casola said. 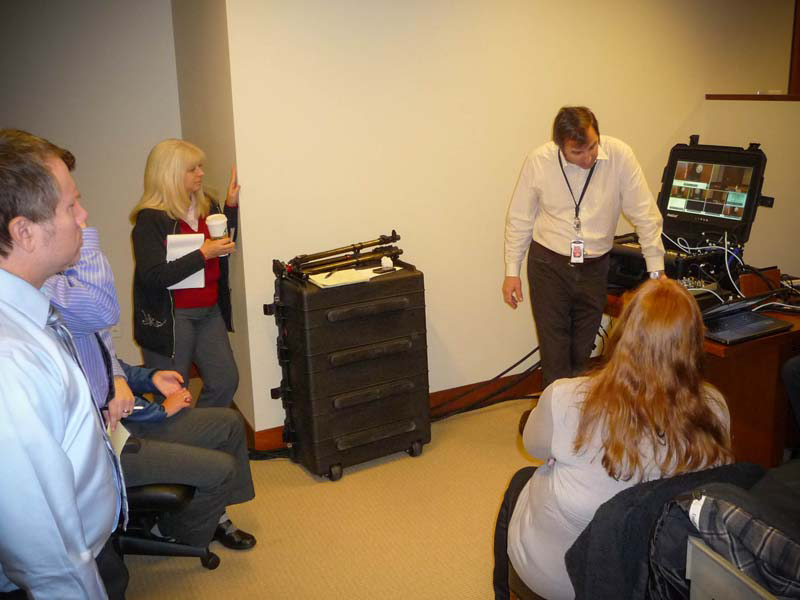 Those systems were provided by Mobile Studios and included PortaCast Mini-Flypacks equipped with Panasonic AW-HS50 Switcher, Panasonic AW-RP50 Robotic Controller installed in its “Pelican” style case with built-in Multiview 22 inch LED Monitor and patch panel. Also provided were Panasonic AW-HE50S robotic high-definition cameras and a Viewcast Niagara 4100 streaming encoder, according to Mobile Studios." "The new flypacks are working great. We’ve had a few recordings in Boston, Seattle, Chicago and the picture and sound is significantly better than most recordings from around the nation. Hope to purchase a sixth system in the next few months."